Terrinique became interested in the hair care industry at a young age. She would spend countless hours in the beauty salon with her mom where she watched women get their hair chemically straightened, heat damaged and over processed to look beautiful. These processes changed the texture of the hair and stunted its growth. After years of chemical damage, Terrinique decided to cut off her straightened hair and “go natural” During her natural hair journey, she realized that there were a limited amount of products that worked for ethnic hair made from all natural ingredients. She began mixing natural ingredients like honey, aloe, avocado and eggs to create deep conditioning treatments and moisturizing creams. After 5 years of working on the perfect formula for each product, Kurlee Belle was created and launched in February 2013. Since then, Kurlee Belle has seen tremendous success worldwide including being available at the World’s Largest retailer, Walmart and Sally Beauty Supply Stores. Terrinique has a Masters of Business Administration (MBA) from Duke University, Fuqua School of Business and a Bachelor of Business Administration (BBA) in Finance from Francis Marion University. 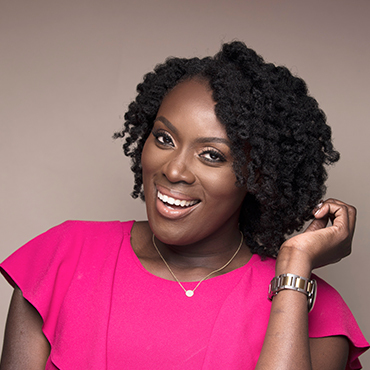 Terrinique Pennerman is an Entrepreneur and Marketing Enthusiast from Dundas Town, Abaco.